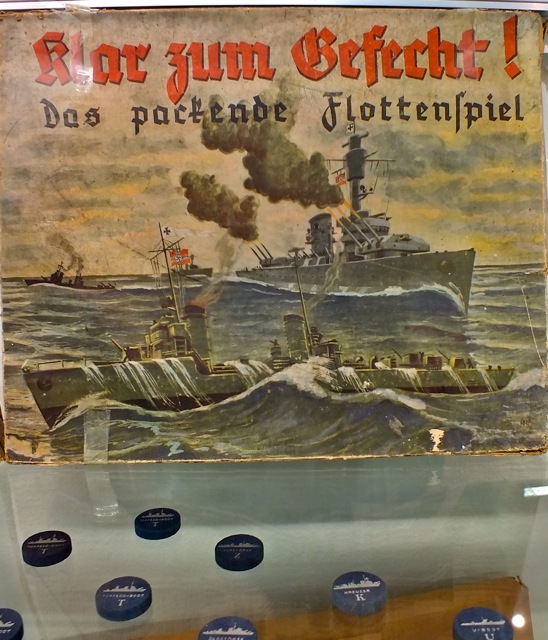 After World War II, the German parliament considered banning war toys, but they deferred to the struggling toy industry and did not impose any restrictions. 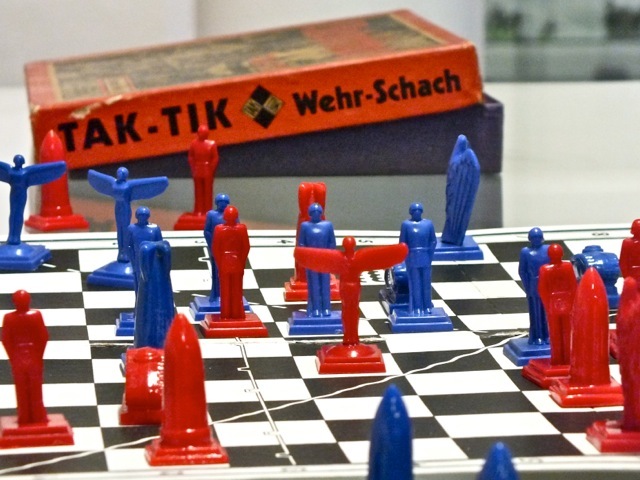 However, the public took it as a moral obligation and generally avoided the purchase of war-related toys and games; this unofficial prohibition is still in place today. 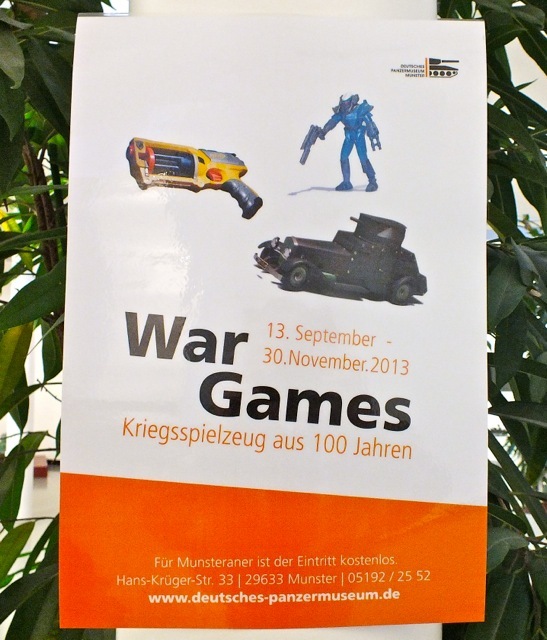 Militaries still abound worldwide, and I find it interesting (and objectionable) that they refer to military maneuvers as war games. War Games, in a historical sense, however, is the title of a special exhibit that took place in the Panzer Museum in Munster, Germany from September through November 2013. 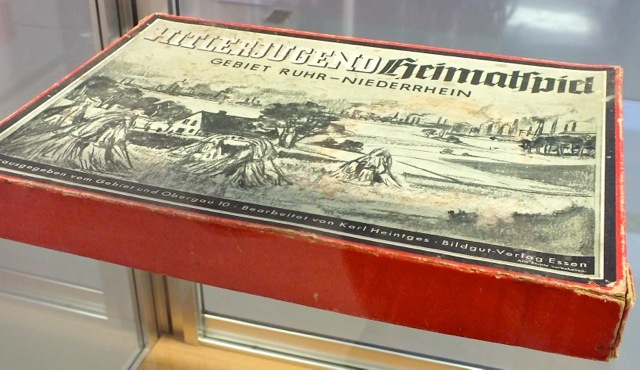 (Admission was free if you were a Munsteraner.) 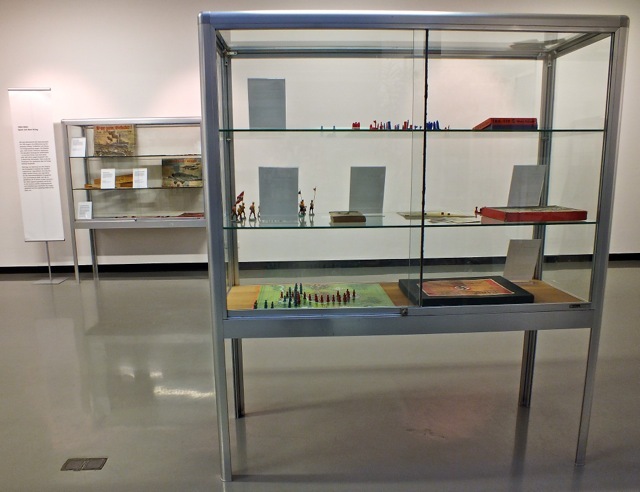 The short, small exhibit, focused on war toys and games of 100 years. 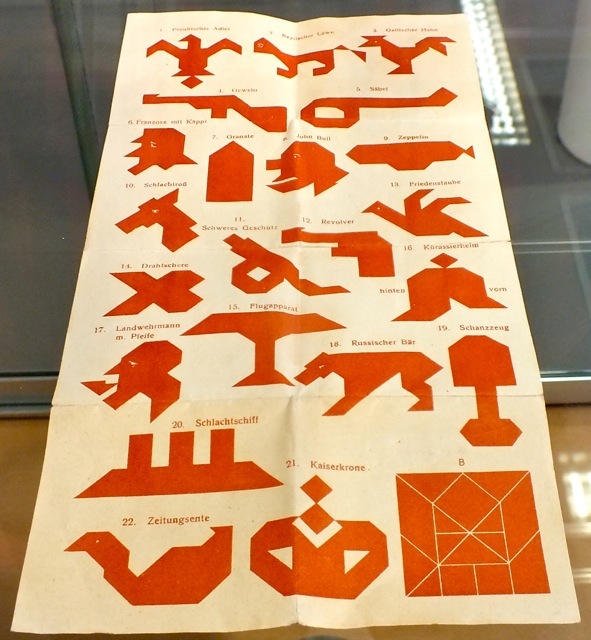 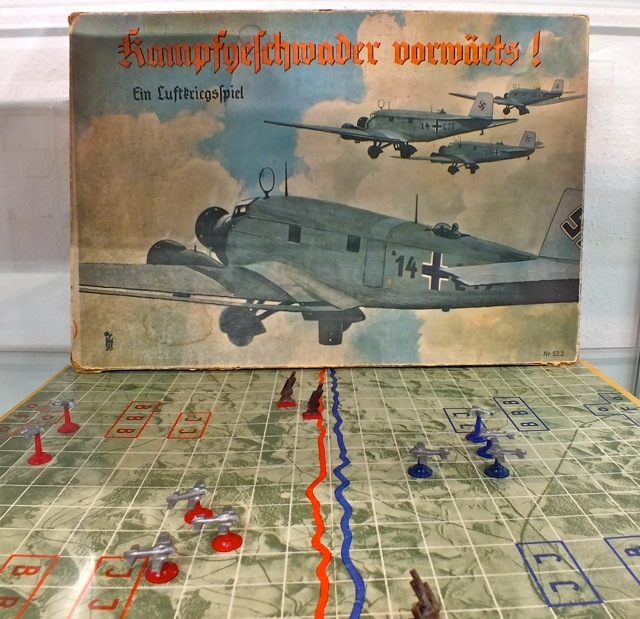 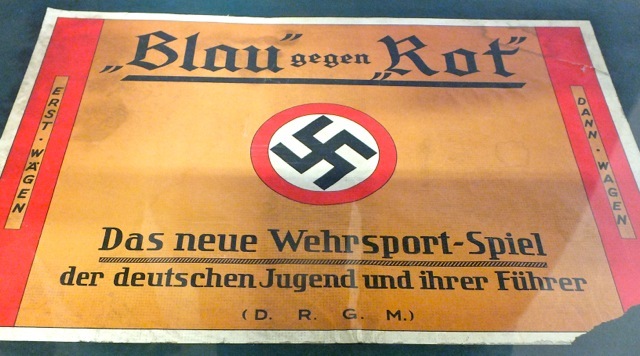 From the time the NSDAP (National Socialist German Workers Party) came into power in 1933, various games were published to show the party’s political presence both at home and abroad. 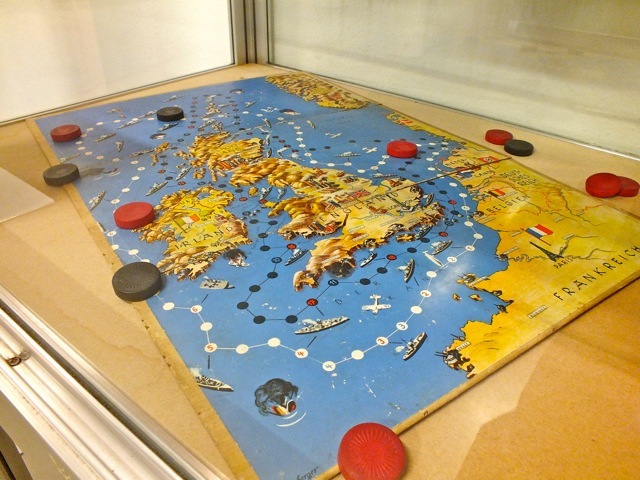 New technology, such as found with modern aircraft and ships, were used to enthuse the youth about military might. 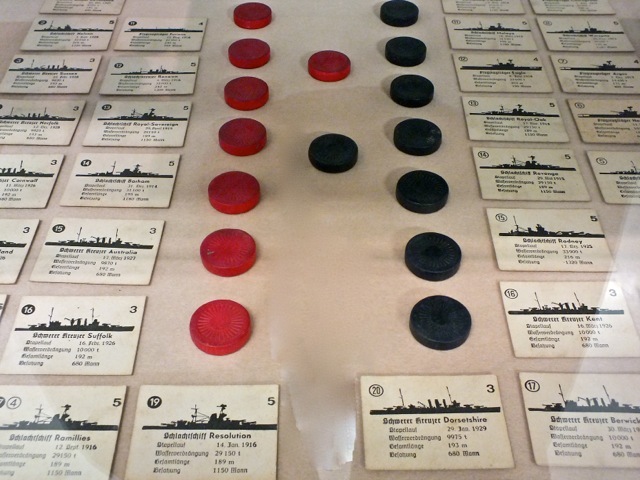 First tin ships, then wooden pieces, including U-boats, battleships and other warships, 22 different ones in all, per player. 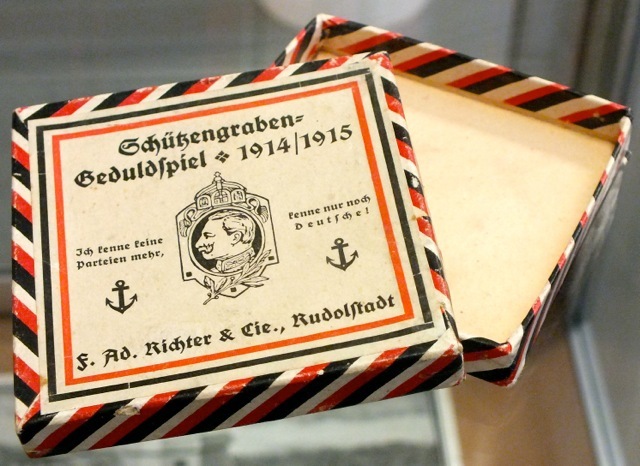 „I don’t know any (political) parties anymore, I just know Germans.“ –Kaiser Wilhelm II, German Emperor, on the fourth day of WWI. 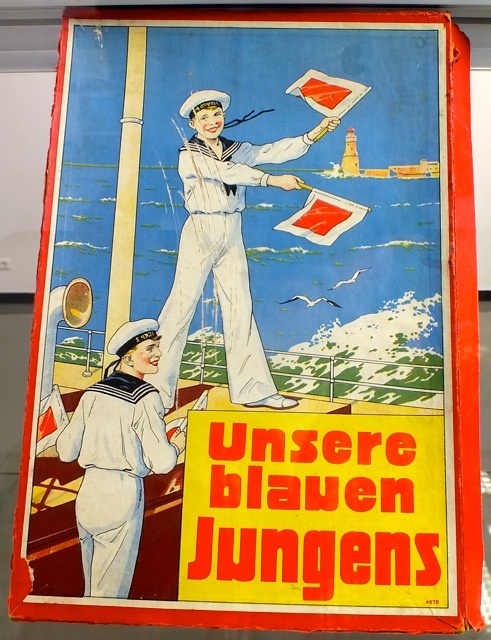 Marine toys were popular during the reign of emperor Wilhelm II, who was a strong promoter of the navy. 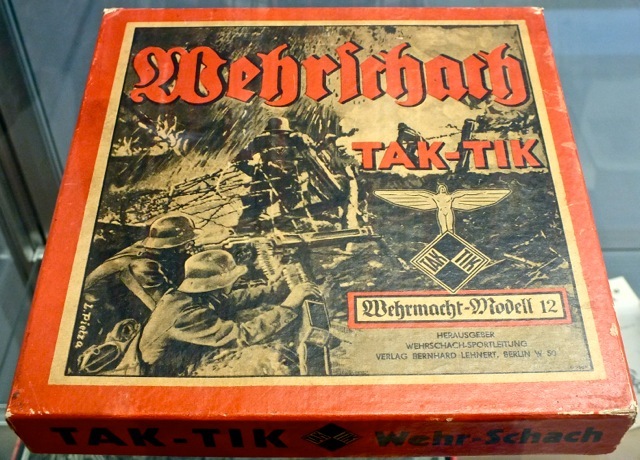 Wehrmacht – Germany military – Model 12. 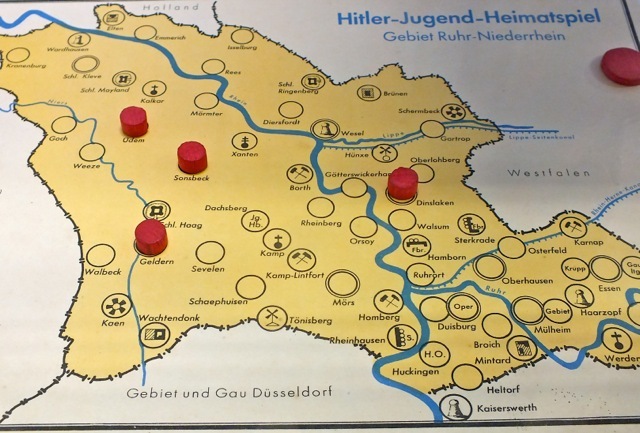 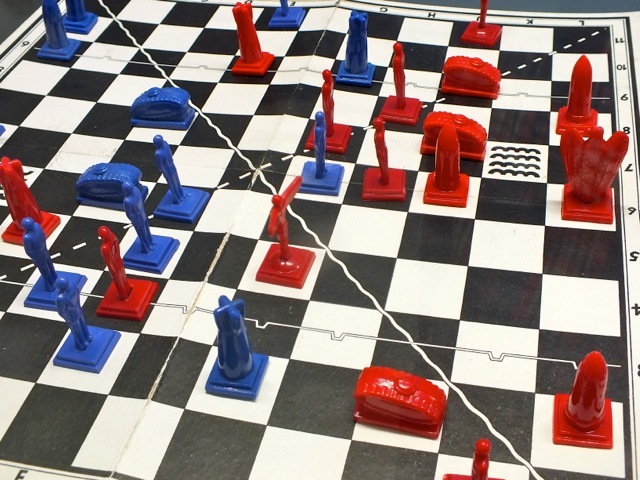 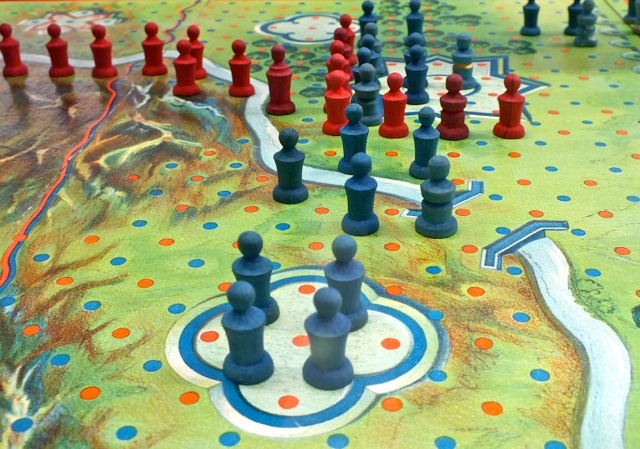 This game had possibly the 2nd highest print run of all board games during the Hitler nationalism period.